Nate Huff joins Sextons Creek with a long background in business operations, process management, and freelance marketing consulting & graphic design. Most recently, Nate worked in procurement at an environmental services firm where he rebuilt the department’s tools and processes from the ground up, laying the groundwork for the department to expand its scope without additional resources. 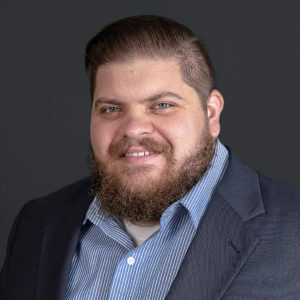 Nate has worked in a wide variety of industries including, information technology, print, security, non-profits, marketing, and more. The common thread between each of these has been Nate’s propensity for strategic thinking in regards to business processes and messaging, and the creation of tools and automated workflows. Outside of Sextons Creek, Nate enjoys a good cup of coffee and gives his time and talent to Indianapolis Theological Seminary and Midtown Church. He currently resides in Broad Ripple, IN.